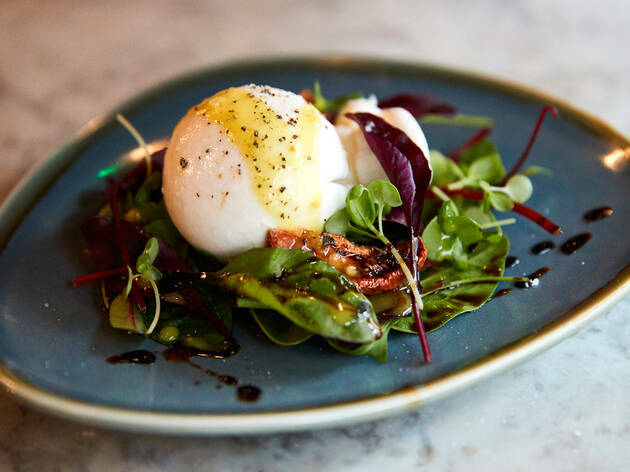 Venue says London life is fast-paced and expensive, luckily our two-course lunch set menu is only £12.90 for two courses and £14.90 for three! 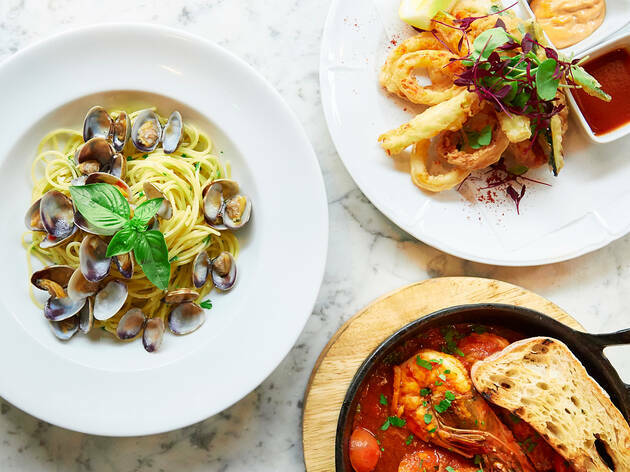 Located in the heart of bustling Soho, this family-run restaurant has been serving up hearty Italian fare for nearly 20 years. The decor is slightly dated yet charming, with a cosy candlelit atmosphere in the evening. 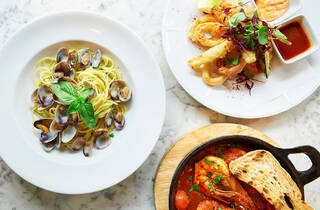 The menu includes the usual Italian staples of pizza, pasta and seafood. A starter of pan­fried tiger prawns was served piping hot and cooked to juicy perfection, while the gnocchi main – complete with wild mushrooms, smoked mozzarella and about five litres of truffle oil – proved a tasty way to sabotage one’s waistline. A generous portion of lobster ravioli was equally as filling, if a bit dry. 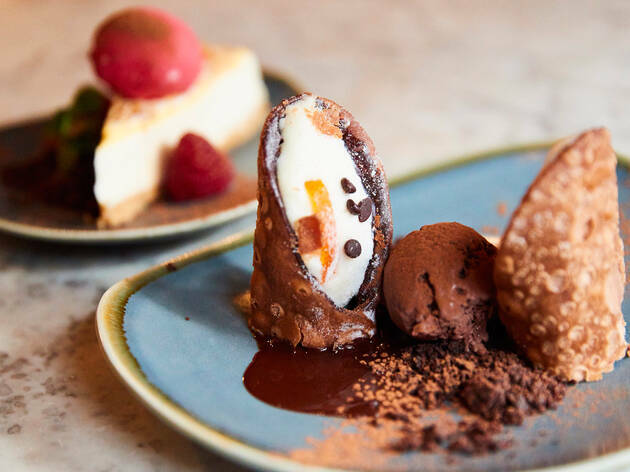 And for those craving more, there are a variety of homemade desserts available, from a zingy lemon tart to a silky­-smooth vanilla panna cotta. But the real star of the show here is the set menu. 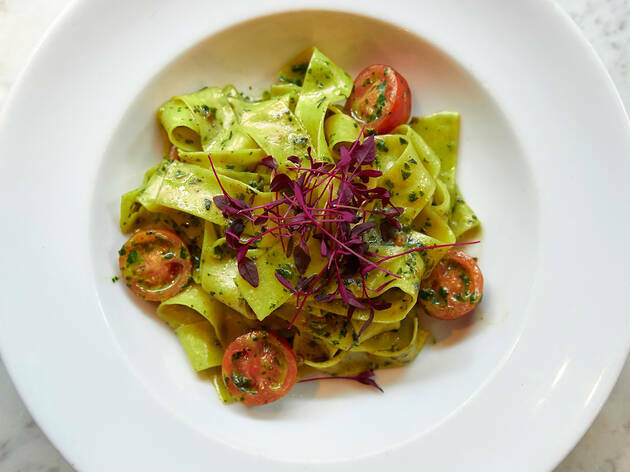 Available all day, every day, it offers filling Italian fare at great value (the price differs by the day – go early in the week), making Forty Dean Street an ideal destination for hungry Londoners on a budget. Forty Dean Street is a family run Italian restaurant in central London. 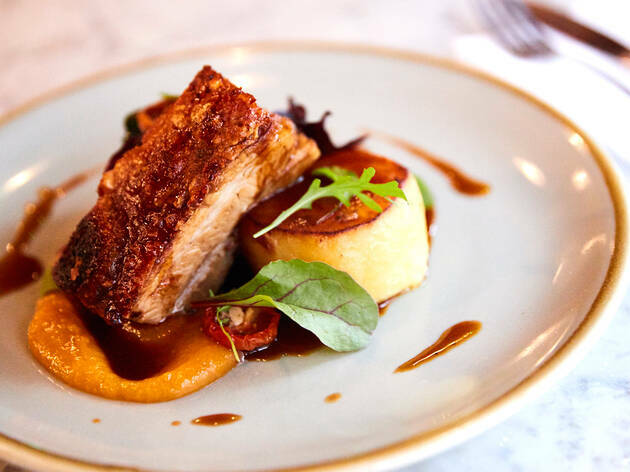 We offer delicious, affordable food in the heart of busy Soho and are particularly popular with pre-theatre diners, the local media industry and tourists. Open every day from 12:00 for lunch and dinner, dog friendly and with outside dining for when it gets warmer, why wouldn’t you come in and see us? 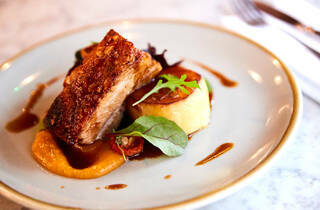 Our set menu is available throughout the day and is the perfect way to have a some exceptional food on a budget. 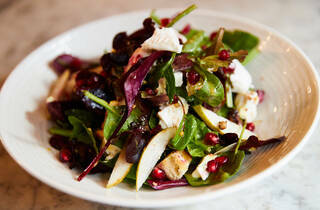 It focuses on seasonal produce and is a favourite with our regulars. 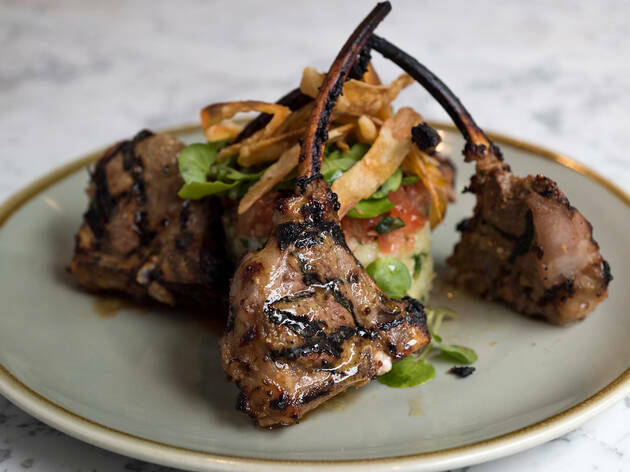 The à la carte menu offers a variety of dishes from homemade pasta and pizza to pork belly and Chicken Milanese which are particularly popular! When it comes to drinks, we have an extensive wine list as well as a newly shaken up cocktail menu and a variety of teas and coffees. 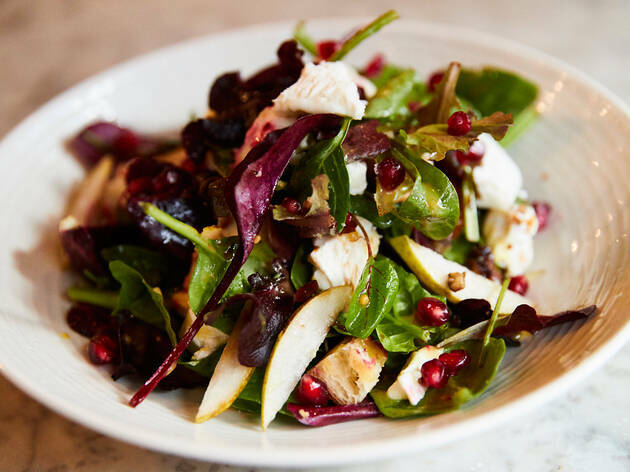 We pride ourselves in our ability to cater to all our customers’ needs, whether that is a large group booking, an allergy or those of you who are vegetarian and vegan. Our friendly staff will welcome you as part of the family and ensure that you have the best experience possible with us. 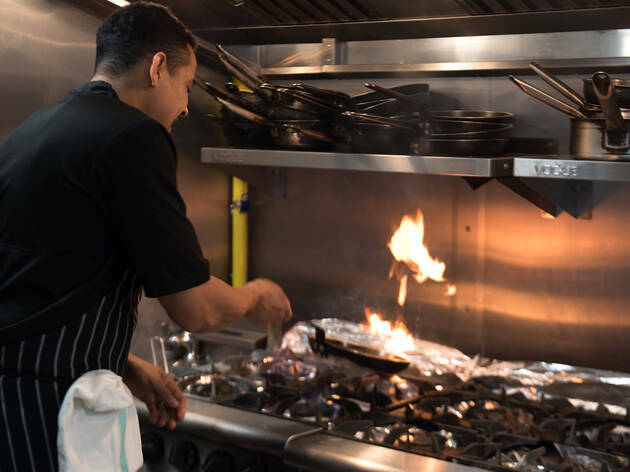 Italian food has been served at Forty Dean Street for more than 17 years and we like to think there’s nothing we haven’t mastered. So pop in for an Aperol Spritz! I would highly recommend this place to eat. 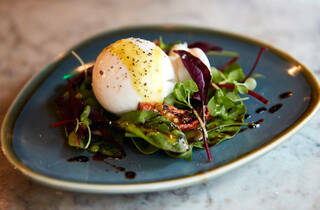 From the delicious food to the lovely service, it would definitely be in my top 3 places to eat for lunch in Soho! I’m Italian and this is the only restaurant in London I would ever visit. It is so authentic and fresh. You need to go. Forty Dean Street is a firm favourite when my husband and I visit London. A lovely establishment with wonderful service! I just had lunch at 40 dean street and it was wonderful (I have lunch there often tbh). I think their homemade pizzas are some of the most authentic you can get in London. Also, if Nima is there make sure you say hi to him as he will always look after you. Also, you will always spot the most interesting celebrities here as well including Jeremy Irons and Ron Perlman. what a fab spot, thank you for always being the best. What a glorious restaurant Forty Dean Street is. The beef shin ragu is an absolute delight. I would highly recommend visiting here for lunch or dinner. My favourite restaurant in soho! Great food, great service and at such a great price. Also, their new chef is amazing!!! 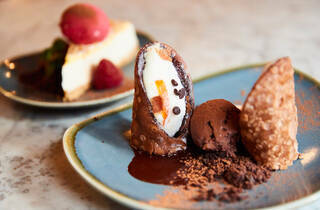 I randomly booked a Time out offer for Forty Dean Street for 2 courses (main and dessert) with bottomless prosecco for £20 which i thought was a bargain. As the day was for my friends birthday I had no worries about spending more money or adding courses to the meal and as such ordered olives as a snack to start, we had a lot to catch up on so weren't in a rush to order - this was clearly not welcomed by the staff even though we were the only people in there. The whole meal felt slightly rushed however if we ever (which was repeatedly) asked for our glasses to be topped up, the staff were rude and would not fill our glasses for ages. So on to the food, this was the good bit, absolutely amazing... we had seafood risotto and mushroom and truffle gnocchi all of which was fantastic. I would of definitely gone back based on the food and the reasonable pricing, however bad service always ruins good food for me. 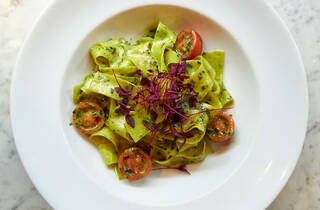 The best Italian restaurant in London!!! I love everything about this place. Lovely food! not bad prices i would defiantly go again. Staff were very friendly and warm. Great for pre theatre eats. Fantastic location, friendly staff, delicious food, decent prices & good menu which regularly changes makes this a perfect Soho staple. Definitely one of the best lasagnes I have ever eaten. Great little place in Soho, the staff really know how to take care of you and the food is fantastic too. My girlfriend had the mushroom tortellini and was very impressed. The menu changes from day to day, so there is always something different to try. Would recommend it to anyone looking for a gem in Soho. 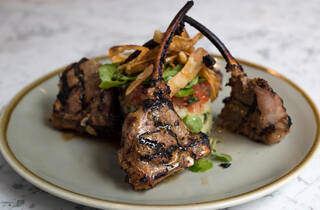 I had been meaning to check out Forty Dean Street for some time, I finally made it last week and was really impressed. It was the hottest day of the year so far so being able to dine outside was a big draw! The atmosphere was great we sat outside with a bottle of wine, ate some authentic Italian food and watched Soho go by - great spot to people watch. 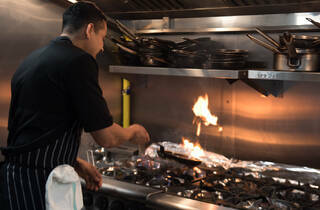 The service was excellent and the staff were very accommodating we never once felt rushed on a busy night. It was my first visit, but it certainly wont be my last.